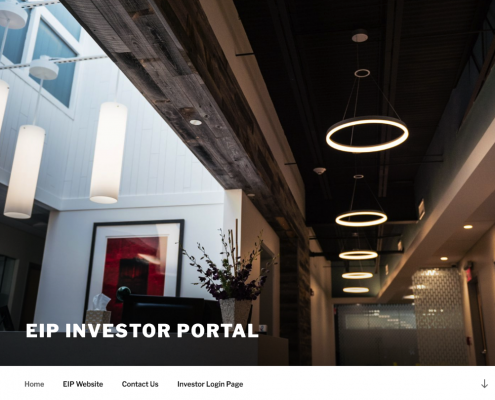 Equity Industrial Partners, a real estate investment and management firm located in Needham, Massachusetts needed an online portal for their client communications. Investors will receive emails generated from the site when important documents are ready to be viewed. The site is can store essential documents such as tax forms, tax information and quarterly reports. Each investor has their own password protected private portal page where they can look at one glance to see all information. TR developed the site, designed the portal and took it live in just three weeks. 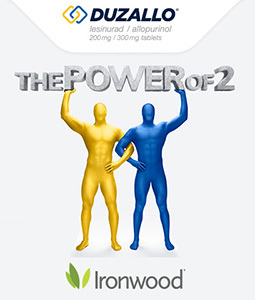 TR Productions teamed up with agency Design & Co. to assist Ironwood Pharmaceuticals as they celebrated the FDA approval of the drug therapy Duzallo for the treatment of Gout. The approval day was marked by many speeches and a reception complete with cake and Champaign. TR provided the audio-visual staging including all equipment and personnel to run the meeting. We also shot a two camera video program to create a recap video program that was sent to all Ironwood Employees that could not attend the event. The Duzallo approval was a great day for patients with Gout all over the world. TR Productions announced today their latest video presentation offering: iNetPresent Studio Xpress! They have truly approached their Green Screen offering with their clients needs in mind. In the Green Screen Studio, the audio, lighting and video systems are already in place. Unlike many other studios where they sell you an 8-hour studio day, TR sells only 2-hour blocks and pass this savings back to their clients. Most standard presentations can be delivered by a competent presenter in an hour or less. They can sell the studio time to other clients that day. After the recording, they work quickly to edit their’s clients talk together along with their slides, graphics, and photos. If needs dictate a fast turn-around, they can have the videos up on the web the very same day! To make a presentation, clients should prepare their talks as they would any presentation and then bring their slides and graphics to their studio session. They will deliver the talk and in the post-production editing TR will add the slides and pictures as needed. Click the links if you are seeking excellent Green Screen Video Production in Boston, or please call TR Productions: 617-241-5500. The video demo below can provide some inspiration for your own green screen presentations. TR Productions produced a webcast for medical equipment manufacturer PerkinElmer. This webcast included a presentation, and Q and A session for the media. We provided our registration engine, complete with reminder emails, produced the rehearsal and live event, and archived the event for future viewing. Working with PerkinElmer, we were able to put the entire event together in a week’s time. Accenture called on TR Productions to develop media for a big celebration on September 15 at the MIT Campus. 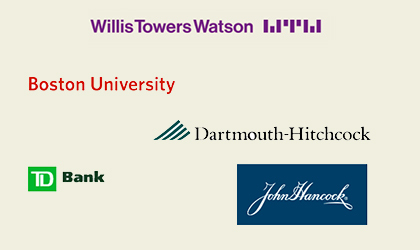 Over 15 videos were produced over the summer featuring interviews from key stakeholders from both MIT and Accenture. The “Accenture Technology Academy” is a coveted opportunity for select members of Accenture’s global workforce to attend educational programs on the MIT campus in Cambridge, Massachusetts. Students are introduced to cutting-edge technology, taught by the world-class MIT faculty. A short meeting opener is available to view here. Welcome to TR Productions’ next-generation “responsive and mobile-ready” website. Our second site, launched over five years ago served us well. This new site employs many of the advanced features we add for our clients including important SEO components, and an easy to use Content Management System. The site’s administration module controls Career Listings, Multiple Portfolios Types, News and Events, Testimonials, Keywords, Meta Descriptions, and Page Titles. Additionally all text pages are easily updated without using any of our talented programmers to do the work. We hope TR Version 3.0 is easy to navigate, and pleasing to your eye. Take a look around, and call us with any questions you may have. Thanks for visiting. Thunderbolt Global of Baltimore, MD tapped TR Productions to launch their new mobile-ready website. The final project is a combination of new web-design and includes a Search Engine Optimization component. and customs broker based in Baltimore, Maryland. They have an experienced staff that can navigate the complex world of international and domestic shipping. Thunderbolt arrange shipments of general cargo and oversize machinery to/from any USA origin to/from any worldwide destination. A leading Boston-based real estate development firm: Winn Companies held a two day meeting in Newport in Newport, Rhode Island. TR Productions was there to fully capture the event, as well as stream “Winn Live” – A one hour 3 camera broadcast, that was edited or “switched-live” by TR Principal Cary Benjamin. Additionally, the client received a switched archive of the entire two-days of meetings. This enabled almost instant uploads for Winn, so they could share the meeting content with Winn personnel in 37 states around the US. TR Productions was ask ed to create a video for the Annual Making Strides Walk in Concord, New Hampshire for The American Cancer Society.